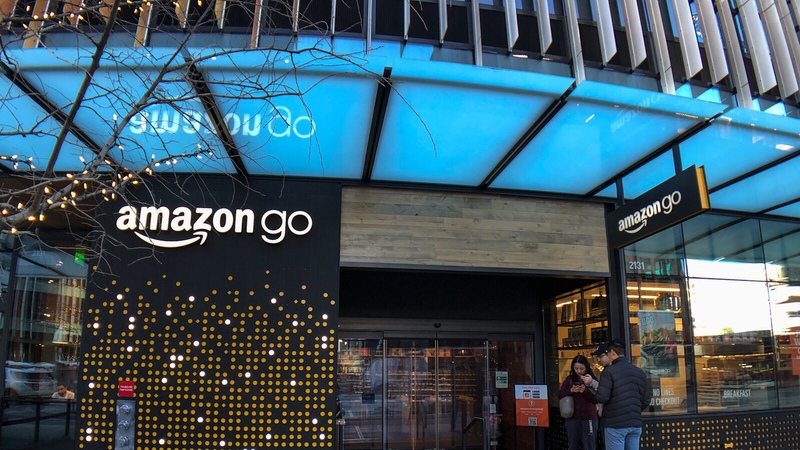 Ever heard of Amazon Go? If you haven’t, then one Google search will clear it up for you. It’s a new retail store concept by Amazon that is partially automated, with no cashiers and stocked with edible necessities. When it comes to grocery shopping, this sounds too good to be true. However, Amazon started this in their hometown of Seattle and is planning to roll this out across the United States. I didn’t have the Amazon Go app, but my friend asked one of the onsite Amazon associates about bringing a guest. He just had to scan it twice and we were inside the Go store (the official app is available on iOS and Android). It turns out that we were in the very first store (initially, it was only for employees and then opened to the public in early 2018). Sensors, cameras and other electronic devices dotted the ceiling, interconnected in such a way that they can track each visitor’s purchases. We’re talking about the power of computer vision and machine learning (most likely combined with Amazon Web Services) that does everything: recognizes the item on the shelf, identifies the customer so that the correct item is billed to them upon exit, and tracks inventory for their supply-chain management. All of this is done without even an explicit scan of the item’s barcode. Electronic turnstiles that are entry and exit points for the Amazon Go store. For the ultimate test, we decided to split up and see if the sophisticated electronics would easily track my purchase to my friend’s account. I didn’t have any plan to buy something but did grab a bottle of water; my friend grabbed some food items and then we just walked out. Within minutes, the correct items were billed to his Amazon account. Downright amazing or just freaky? There wasn’t any barcode scanner to scan the items (there weren’t any in sight). The whole store concept is designed to keep it simple and seamless when you enter and depart with the items you require. Would something like this work in the Middle East? It would be a hard concept to grasp for many consumers, thinking that there would be some level of strings attached. It is such a ‘cool’ and novel concept that people would be willing to try it. With Amazon officially slated to open a new Amazon Web Services data center in Bahrain (note, this was supposed to happen in early 2019 but looks like it’s been pushed to early 2020), they could set-up some of the backbone infrastructure combined with their Souq presence to test the waters. If you’re still wondering more about Amazon Go, here’s a quick explainer video.